We're returning to the Blake's 7 universe this coming January in Restoration Part 1 - four brand-new full-cast audio adventures set during the TV series' third season; plus a new audiobook/hardback novel, Uprising. And you can check out the artwork for both of these releases now. Blake's 7: Restoration, a new series of 12 episodes, follows directly on from events in the Crossfire trilogy. After the cliffhanger ending to Crossfire Part 3, with Avon shot, Cally unconscious and the Liberator critically damaged, we can’t wait to find out what happens next! 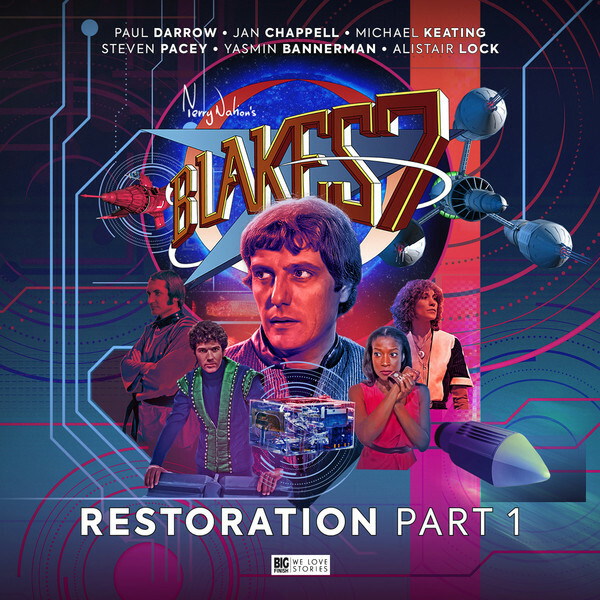 Paul Darrow, Jan Chappell, Michael Keating and Steven Pacey all return to their roles from the classic TV series, while Alistair Lock provides the voices of computers Orac and Zen, and Yasmin Bannerman plays the role of Dayna. In Restoration Part 1, to be released in January 2019, four new adventures see the now vulnerable crew of the Liberator desperately attempting to repair their crippled ship and avoid capture by the Federation. Blake's 7 fans will also be delighted to know that Avalon returns in episode 3, Figurehead. Restoration Part 1 will be released in January 2019, with Part 2 released in July 2019 and the concluding Part 3 in November 2019. Each release will be available from Big Finish at £28 on CD or £25 on download. Or you can save money with a bundle. Get all three parts of Restoration on pre-order in a bundle at £78 on CD or £72 on download. And don't forget each CD purchase unlocks a download option from the Big Finish app or directly from our website. Also released in January 2019 is Blake’s 7: Uprising by Christopher Cooper. This brand new Blake’s 7 novel will be available in hardback and as an audiobook read by Stephen Greif. 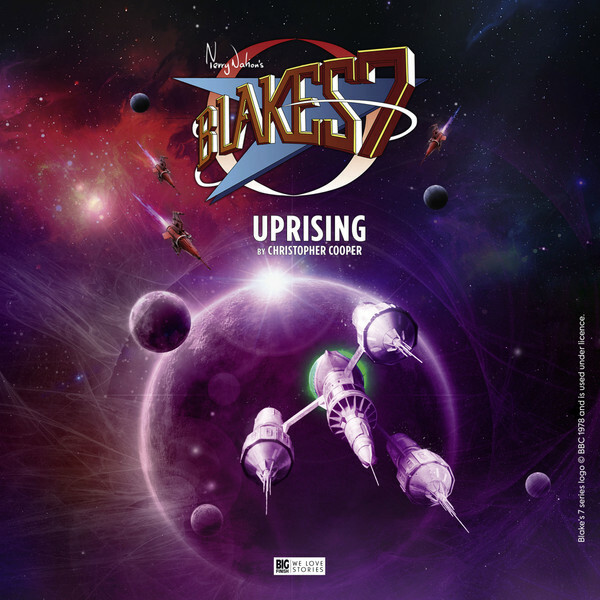 Blake's 7: Uprising will be available on hardback at £16.99, as an online copy at £12.99 and on audiobook at £9.99.